The Rebellion of Túpac Amaru II (1780 – c. 1782) was an uprising of native and mestizo peasants against the Bourbon reforms in the Spanish Viceroyalty of Peru. While Túpac Amaru II, an early leader of the rebellion, was captured and executed in 1781, the rebellion continued for at least another year under other leaders. 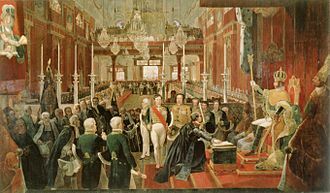 The government of Spain, in an effort to streamline the operation of its colonial empire, began introducing what became known as the Bourbon Reforms throughout South America. In 1776, as part of these reforms, it created the Viceroyalty of the Río de la Plata by separating Upper Peru (modern Bolivia) and the territory that is now Argentina from the Viceroyalty of Peru. These territories included the economically important silver mines at Potosí, whose economic benefits began to flow to Buenos Aires in the east, instead of Cuzco and Lima to the west. 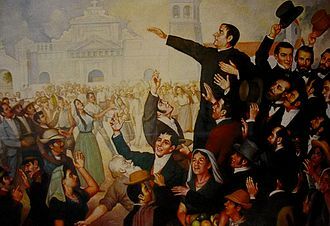 The economic hardship this introduced to parts of the Altiplano combined with systemic oppression of Indian and mestizo underclasses (a recurring source of localized uprisings throughout Spanish colonial South America) to create an environment in which a large-scale uprising could occur. 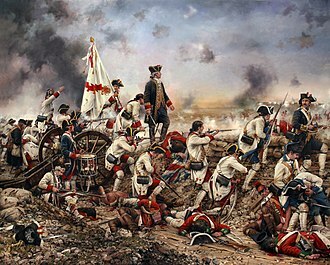 In 1778 Spain raised sales taxes (known as the alcabala) on goods produced and sold in the colonies, in part to fund its participation in the American Revolutionary War. José Gabriel Condorcanqui, an upper-class Indian with claims to the Inca royal lineage, adopted the name Túpac Amaru II (alluding to Túpac Amaru, the last Inca emperor), and in 1780 called for rebellion. He claimed to be acting on behalf of the King of Spain, enforcing royal authority on the corrupt and treacherous colonial administration. He was motivated in part by reading of a prophecy that the Inca would rule again with British support, and he may have been aware of the British colonial rebellion in North America and Spanish involvement in the war. On November 4, 1780, after a party in Tungasuca, where Túpac was cacique, Túpac and supporters seized Antonio Arriaga, the corregidor of his hometown of Tinta. They forced him to write letters to his treasurer in Tinta requesting money and arms and to other powerful individuals and kurakas ordering them to congregate in Tungasuca. 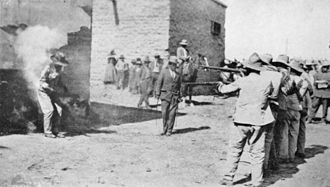 On November 10, six days after his capture, Arriaga was executed in front of thousands of gathered Indians, mestizos, and Criollos (locals of mostly Spanish descent). Túpac began moving through the countryside, where he gained supporters, primarily from the Indian and mestizo classes, but also with some creoles. On November 17 he arrived at the town of Sangarará, where Spanish authorities from Cuzco and the surrounding area had assembled a force of about 604 Spaniards and 700 Indians. Túpac's ad hoc army, which had grown to several thousand, routed this force the next day, destroying the local church where a number of people had taken refuge. Túpac then turned south, against the advice of his wife and lieutenant Micaela Bastidas, who urged him to attack Cuzco before the government could mobilize. 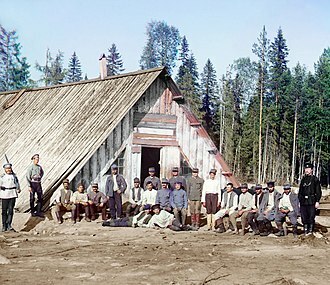 Indigenous communities often sided with the rebels, and local militias put up little resistance. It was not long before Túpac's forces had taken control of almost the entire southern Peruvian plateau. 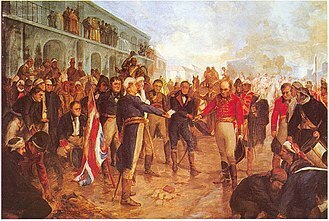 Spanish colonial administrator José Antonio de Areche acted in response to Túpac's uprising, moving troops from Lima and as far off as Cartagena toward the region. Tupac Amaru II in 1780 began to lead an uprising of indigenous people but the Spanish military proved to be too strong for his army of 40,000-60,000 followers. After being repelled from the capital of the Incan empire the rebels march around the country gathering forces to attempt to fight back.Troops from Lima were instrumental in helping repel Túpac's siege of Cuzco from December 28, 1780 to January 10, 1781. Following these failures, his coalition of disparate malcontents began to fall apart, with the upper-caste Criollos abandoning him first to rejoin the loyalist forces. Further defeats and Spanish offers of amnesty for rebel defectors hastened the collapse of Túpac's forces. By the end of February 1781, Spanish authorities began to gain the upper hand. A mostly indigenous loyalist army of up to between 15,000 and 17,000 troops led by Jose del Valle had the smaller rebel army surrounded by March 23. A breakout attempt on April 5 was repulsed, and Túpac and his family were betrayed and captured the next day along with battalion leader Tomasa Tito Condemayta, who was the only indigenous noble who would be executed alongside Túpac. After being tortured, on May 15 Túpac was sentenced to death, and on May 18 forced to witness the execution of his wife and one of his children before he was himself quartered. 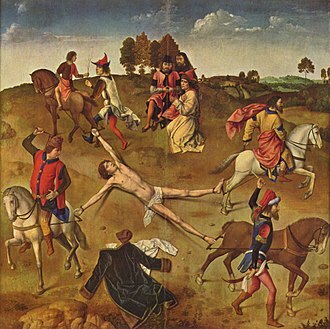 The four horses running in opposite directions failed to tear his limbs apart and so Túpac was beheaded. Túpac Amaru's capture and execution did not end the rebellion. In his place, his surviving relatives, namely his cousin Diego Cristóbal Túpac Amaru, continued the war, albeit using guerilla tactics, and transferred the rebellion's focal point to the Collao highlands around Lake Titicaca. 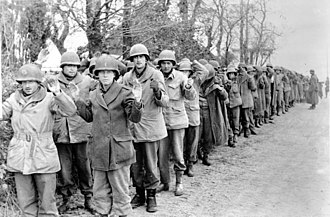 Government efforts to destroy the rebellion were frustrated by, among other things, a high desertion rate, hostile locals, scorched-earth tactics, the onset of winter, and the region's altitude (most of the troops were from the lowlands and had trouble adjusting). 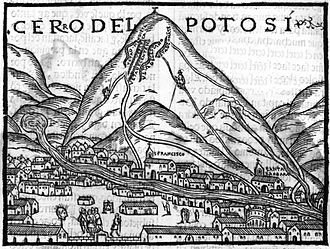 An army led by Diego Cristóbal occupied the strategically important city of Puno on May 7, 1781 and proceeded to use it as a base from which they launched attacks all across Upper Peru. Cristóbal would hold the town and much of the surrounding territory until mounting losses and diminishing support convinced him to accept a general amnesty from Viceroy Agustín de Jáuregui. 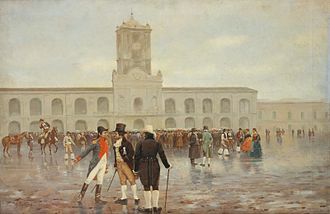 A preliminary treaty and prisoner exchange were conducted on December 12, and Cristóbal's forces formally surrendered on January 26, 1782. Though some rebels continued to resist, the worst was over. 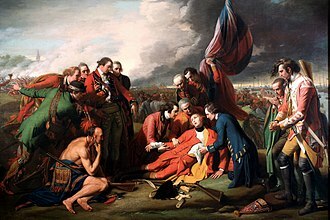 The last organized remnants of the rebellion would be vanquished by May 1782, though sporadic violence continued for many months. Diego, his mother, and several of his allies would be arrested and executed anyway by paranoid Spanish authorities in Cuzco on July 19, 1783 on the pretext he had broken the peace accords. During the rebellion, especially after the death of Túpac Amaru II, non-Indians were systematically killed by the rebels. The ultimate death toll is estimated at 100,000 Indians and 10,000–40,000 non-Indians. Viceroy Jáuregui lessened mita obligations in an attempt to ameliorate some of the Indians' complaints. In 1784, his successor, Teodoro de Croix, abolished the corregidors and reorganized the colonial administration around eight intendants. In 1787, an audiencia was established in Cuzco. Areche's decrees following the execution of Túpac Amaru II included the banning of the Quechua language, the wearing of indigenous clothing, and virtually any mention or commemoration of Inca culture and history. Areche's attempts to destroy Inca culture after the execution of Túpac Amaru II were confirmed by royal decree in April 1782, however colonial authorities lacked the resources to enforce these laws and they were soon largely forgotten. Robins, Nicholas A., Genocide and millennialism in Upper Peru: the Great Rebellion of 1780–1782. Westport, Conn. : Praeger, 2002. Serulnikov, Sergio. Revolution in the Andes: the age of Túpac Amaru. Durham : Duke University Press, 2013. Walker, Charles F., The Tupac Amaru rebellion. Cambridge, Massachusetts : The Belknap Press of Harvard University Press, 2014. ^ Ward Stavig & Ella Schmidt (2008). The Tupac Amaru And Catarista Rebellions: An Anthology of Sources. Indianapolis: Publishing, pp. 27. ISBN 978-0-87220-845-2. ^ a b Daniel Castro (1999). Revolution and Revolutionaries: Guerrilla Movements in Latin America. Oxford: Rowman & Littlefield, pp. 2. ISBN 978-0-84202-626-0. ^ Orin Starn, Carlos Iván Degregori & Robin Kirk (2005). The Peru Reader: History, Culture, Politics. Durham: Duke University Press, pp. 160. ISBN 978-0-82233-649-5. ^ a b James D. Henderson, Helen Delpar, Richard N. Weldon & Maurice Philip Brungardt (2000). A Reference Guide to Latin American History. Nueva York: M.E. Sharpe, pp. 77. ISBN 978-1-56324-744-6. ^ a b c d e f g h i Serulnikov, Sergio (2013). Revolution in the Andes: The Age of Túpac Amaru. Durham, North Carolina: Duke University Press. ISBN 9780822354833. ^ a b Fisher, Lillian (1966). The Last Inca Revolt, 1780-1783. Norman, Oklahoma: University of Oklahoma Press. ^ a b c d e f Walker, Charles (2014). The Tupac Amaru rebellion. Cambridge, Massachusetts: Harvard University Press. ISBN 9780674416376. OCLC 871257824. ^ a b c d Campbell, Leon (1978). 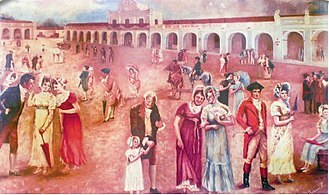 The military and society in colonial Peru, 1750-1810. Philadelphia: American Philosophical Society. ISBN 087169123X. OCLC 3598969. 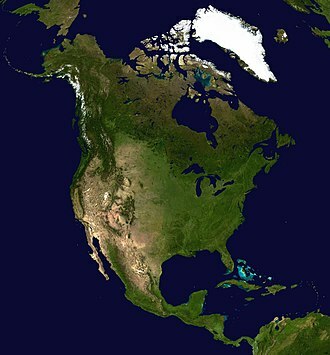 ^ Meade, Teresa. . A History of Modern Latin America: 1800 to the Present. John Wiley & Sons, Inc. p. 39. ^ Garrett, David T. (2005). Shadows of empire : the Indian nobility of Cusco, 1750-1825. Cambridge, UK: Cambridge University Press. 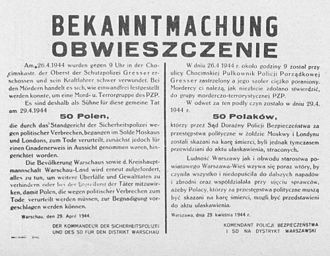 p. 183. ISBN 052184634X. OCLC 57405349. ^ Resistance, rebellion, and consciousness in the Andean peasant world, 18th to 20th centuries. Edited by Steve J. Stern. Madison, Wis.: University of Wisconsin Press. 1987. ISBN 0299113507. OCLC 16227401. 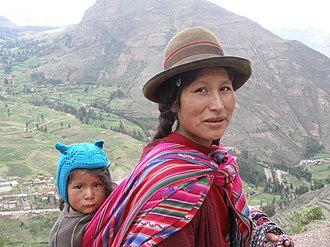 Bartolina Sisa was an Aymara woman, an indigenous heroine and the wife of Tupac Katari. Her date of birth is uncertain, some give it as August 24,1753. Katari and Sisa set up court in El Alto and their army maintained the siege for 184 days, from March to June, Sisa was a commander of the siege, and played the crucial role following Kataris capture in April. 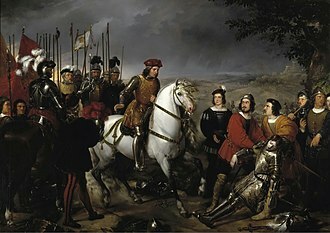 The siege was broken by troops who advanced from Lima. Bartolina Sisa was captured and executed by the Spanish on September 5,1782 and she was hanged after being publicly humiliated in the Colonial Square and raped. 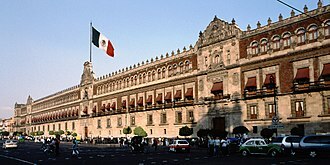 Once dead, the Spanish cut her body into pieces, showed her head in public to intimidate the natives, in her honour, the 5th of September was instituted as the International Day of the Indigenous Women since 1983. Bartolina Sisa — la virreina Aymara que murió por la libertad de los indios, del Valle de Siles, María Eugenia. Bartolina Sisa y Gregoria Apaza — dos heroínas indígenas, La Paz, Biblioteca Popular Boliviana de Ultima Hora. Cuzco, often spelled Cusco, is a city in southeastern Peru, near the Urubamba Valley of the Andes mountain range. It is the capital of the Cusco Region as well as the Cusco Province, in 2013, the city had a population of 435,114. Located on the end of the Knot of Cuzco, its elevation is around 3,400 m. The site was the capital of the Inca Empire from the 13th until the 16th-century Spanish conquest. In 1983 Cusco was declared a World Heritage Site by UNESCO and it has become a major tourist destination, hosting nearly 2 million visitors a year. 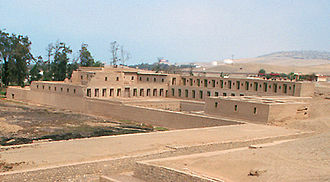 The Constitution of Peru designates it as the Historical Capital of Peru, the indigenous name of this city is Qusqu. 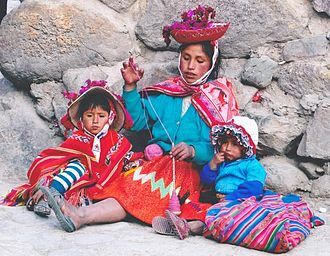 Although the name was used in Quechua, its origin is found in the Aymara language, the word is derived from the phrase qusqu wanka, related to the citys foundation myth of the Ayar Siblings. According to this legend, Ayar Awqa acquired wings and flew to the site of the future city, there he was transformed into a rock to mark the possession of the land by his ayllu. Then Ayar Oche stood up, displayed a pair of large wings, they went up on top of the hill. 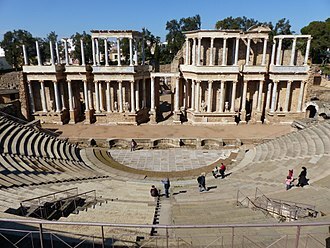 Now at the site where he was to remain as an idol and he returned and told Ayar Manco that from on he was to be named Manco Capac. Ayar Oche came from where the Sun was and the Sun had ordered that Ayar Manco take that name, after this had been stated by the idol, Ayar Oche turned into a stone, just as he was, with his wings. Later Manco Capac went down with Ayar Auca to their settlement. he liked the place now occupied in this city Cuzco, Manco Capac and his companion, with the help of the four women, made a house. Having done this, Manco Capac and his companion, with the four women and it is said that they took the maize from the cave, which this lord Manco Capac named Pacaritambo, which means those of origin because. they came out of that cave. The Spanish conquistadors adopted the name, transliterating it into Spanish phonetics as Cuzco or, less often. Cuzco was the spelling on official documents and chronicles in colonial times. Puno is a city in southeastern Peru, located on the shore of Lake Titicaca. It is the city of the Puno Region and the Puno Province with a population of approximately 149,064. The city was established in 1668 by viceroy Pedro Antonio Fernández de Castro as capital of the province of Paucarcolla with the name San Juan Bautista de Puno, the name was changed to San Carlos de Puno, in honor of king Charles II of Spain. Puno has several churches dating back from the period, they were built to service the Spanish population. Puno is an important agricultural and livestock region, important livestock are llamas and alpacas, much of the city economy relies on the black market, fueled by cheap goods smuggled in from Bolivia. Puno is served by the Inca Manco Capac International Airport in nearby Juliaca, Puno is situated between the shores of Lake Titicaca and the mountains surrounding the city. There is less than two miles of land between the shores and the foothills, which has caused the growing city to continue to expand upwards onto the hillsides. As a result, the less developed and poorest areas, which are high on the hillsides, often have very steep streets. Up one of streets is the Kuntur Wasi viewpoint, which has a large metal sculpture of a condor. There are some 700 steps to climb to reach the sculpture, during the celebrations of the Feast of the Virgen de la Candelaria and the Regional Competition of Autochthonous Dances. Punos access to Lake Titicaca is surrounded by 41 floating islands, to this day, the Uros people maintain and live on these man-made islands, depending on the lake for their survival, and are a large tourist destination. Dragon Boat racing, an old tradition in Puno, is a popular activity amongst tourists. Puno is the first major hub in the constant migration of peoples of the Andes to the larger cities of Peru. As such, Puno is served by several small Institutes of Technology, additionally it is home to what is commonly referred to as the UNA or the Universidad Nacional del Altiplano, which was founded in 1856. Although Criollos were legally Spaniards, in practice, they ranked below the Iberian-born Peninsulares. Nevertheless, they had preeminence over all the populations, enslaved Africans. According to the Casta system, a criollo could have up to 1/8 Amerindian ancestry without losing social place, in the 18th and early 19th centuries, changes in the Spanish Empires policies towards its colonies led to tensions between Criollos and Peninsulares. Criollos were the supporters of the Spanish American wars of independence. The word criollo and its Portuguese cognate crioulo are believed to come from the Spanish/Portuguese verb criar, in Spanish colonies, an español criollo was an ethnic Spaniard who had been born in the colonies, as opposed to an español peninsular born in Spain. 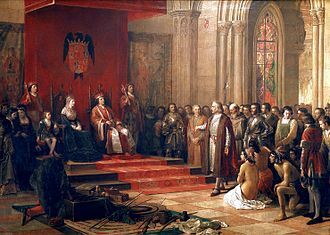 Whites in colonial Brazil, born in the Iberian Peninsula, were known as mazombos, limpieza de sangre or cleanness of blood was a legal concept in use since the Spanish Reconquista, and introduced to the Spanish colonies in the Americas. The English word creole was a loan from French créole, which in turn is believed to come from Spanish criollo or Portuguese crioulo, such cases might include the offspring of a Castizo parent and one Peninsular or Criollo parent. This one-eighth rule, in theory, did not apply to African admixture, in reality, officials assigned various racial categories to mix-raced people depending on their social status, what they were told or due to testimony from friends and neighbors. 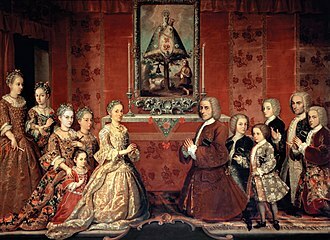 To preserve the Spanish Crowns power in the colonies, the Spanish colonial society was based on a caste system. The highest-ranking castes were the españoles, Spaniards by birth or descent, people of mixed ancestry were classified in other castes — such as castizos, cholos, indios and enslaved Africans, called blacks. Poole argues that the Virgin Mary, especially as Our Lady of Guadalupe and they used the story to legitimize their own social position and infuse it with an almost messianic sense of mission and identity. 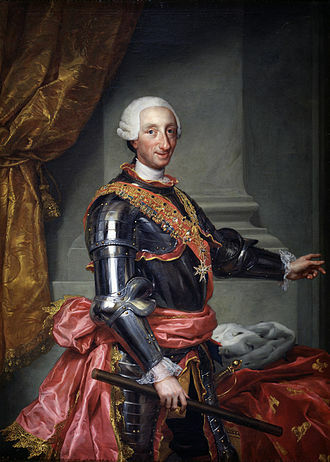 Until 1760, the Spanish colonies were ruled under laws designed by the Spanish Habsburgs and that situation changed by the Bourbon Reforms during the reign of Charles III. Dismemberment is the act of cutting, pulling, wrenching or otherwise removing the limbs of a living thing. It has been practised upon human beings as a form of punishment, can occur as a result of a traumatic accident, or in connection with murder, suicide. As opposed to surgical amputation of the limbs, dismemberment is often fatal to all, in criminology, a distinction is made between offensive and defensive dismemberment. Intentional, criminal dismemberment is known as mayhem, sliced to pieces by elephant Particularly in South-Eastern Asia, execution by trained elephants was a form of capital punishment practiced for several centuries. The techniques by which the person was actually executed varied widely but did, on occasion. They were ordered, accordingly, to be thrown to the elephants and their hoofs were cased with sharp iron instruments, and the extremities of these were like knives. The fate of Wilhelm von Grumbach in 1567, a knight in the Holy Roman Empire who was fond of making his own private wars and was thus condemned for treason, is worthy of note. Gout-ridden, he was carried to the site in a chair. The executioner ripped out his heart, and stuck it in von Grumbachs face with the words, the executioner quartered von Grumbachs body. His principal associate was given the treatment, and an eyewitness avers that after his heart had been ripped out. 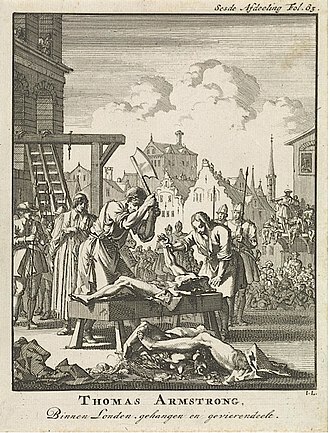 One example of a highly aggravated execution is illustrated by the fate of Bastian Karnhars on July 16,1600, the two several halves are suspended on a camel, and paraded through the streets, for the edification of all beholders. This punishment was, for example, meted out to Hwang Sa-Yong in 1801, china The Five Pains is a Chinese variation invented during the Qin dynasty. Current use Dismemberment is no longer used by most modern governments as a form of execution or torture, ravaillacs extended torture and execution has been described like this, He was condemned to be tortured with red-hot pincers on four limbs and on each breast. 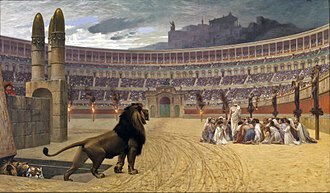 His wounds were to be sprinkled with molten lead and boiling oil and his body was to be torn in pieces by four horses, the remains being subsequently burnt. 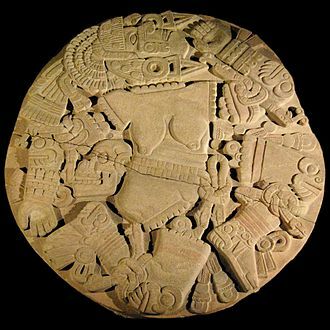 Aztec stone disk depicting a dismembered Coyolxauhqui which was found during construction in 1978 in Mexico City. 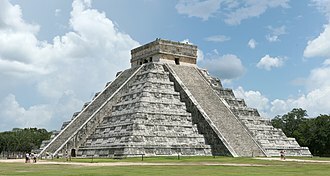 Its discovery led to the excavation of the Templo Mayor. The Bolivian Altiplano at about 4,250 m (14,000 feet). The snow-covered peaks of the Cordillera Real rise in the background. A rock sculpted by wind erosion (or Aeolian processes) in the Bolivian Altiplano. 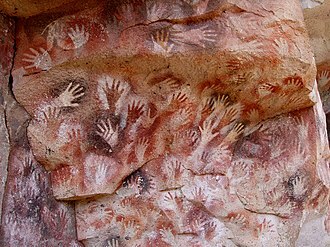 Bartolina Sisa manifestation, Trinidad (Bolivia).